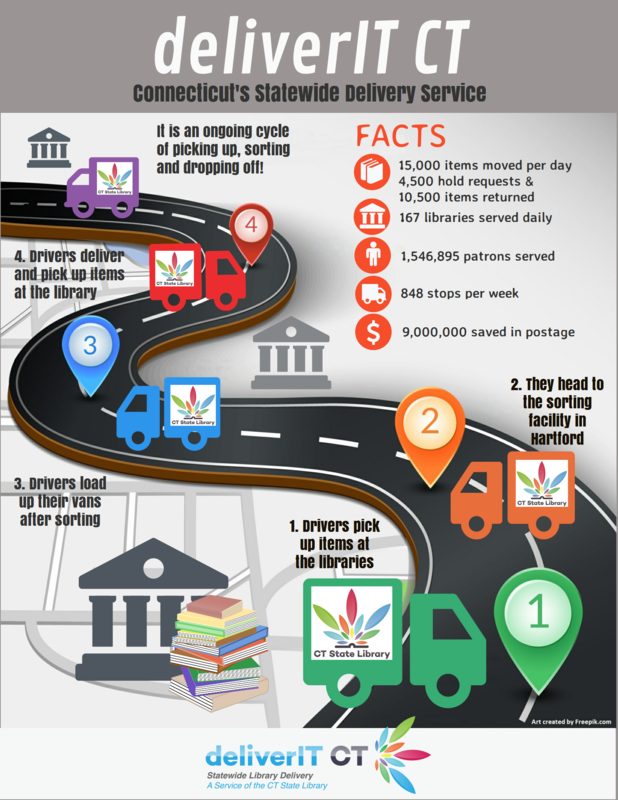 deliverIT CT (formerly Connecticar or Ccar) is Connecticut's statewide library delivery service. deliverIT CT transports about 1.5 million library items per year to 215 public and academic libraries in the state. To navigate the Ccar pages, use the tabs above or use the links below. deliverIT CT is funded by the State of Connecticut and the Institute of Museum and Library Services under the provisions of the Library Services and Technology Act, administered by the Connecticut State Library.